By Jacques Mesrine. Introduction by Robert Greene. Translation by Robert Greene, Catherine Texier. France's Public Enemy Number One from the late 1960s to the end of the 1970s--when he was killed by police in a sensational traffic shootout--Jacques Mesrine (1936–1979) is the best-known criminal in French history. Mesrine was notorious both for his violent exploits and for the media attention he attracted, and he remains very much a public media figure in France and Europe. In 2008 there were two feature-length films based on his life, one of them starring Vincent Cassel in the lead role. 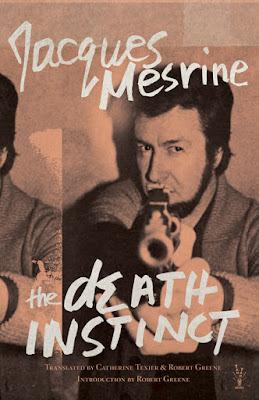 Mesrine wrote The Death Instinct while serving time in the high-security prison La Santé; the manuscript was smuggled out of the prison and was later published by Guy Debord's publisher Gérard Lebovici (who briefly adopted Mesrine's daughter, Sabrina, before being assassinated, a few years after Mesrine). 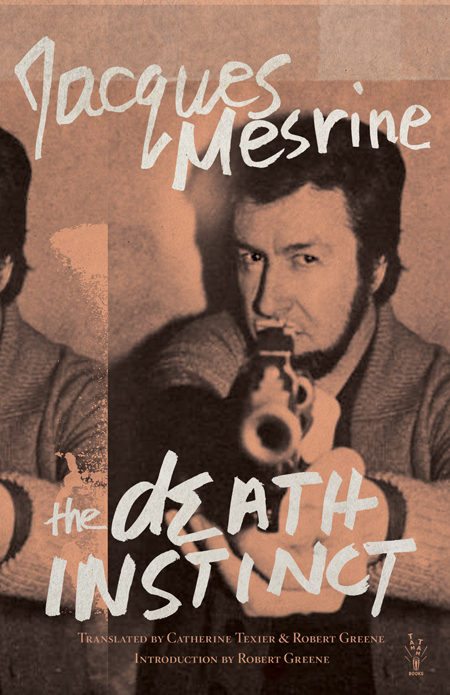 The Death Instinct deals with the early years of Mesrine's criminal life, including a horrifically graphic description of a murder he committed early on in his career and a highly detailed account of the workings of the French criminal underworld--making this book perhaps one of the most intriguing and detailed anthropological studies of a criminal culture ever written. PAPERBACK, 6 X 9 IN. / 325 PGS.